This novel was partly inspired by Mackenzi Lee's discovery of the concept of the Grand Tour, something done by many rich people in the 18th century, that would last for months or even years, depending on funds. It's similar to our modern day 'gap year', where young people see the world between high school/college and pursuing further education or employment. 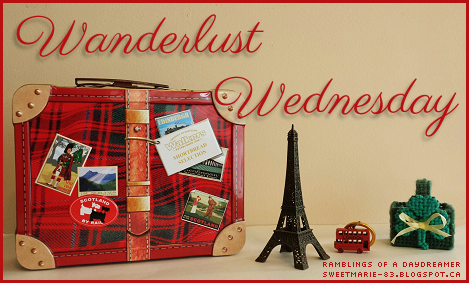 I always wished I could have taken a gap year, and I still harbour a not-so-secret fantasy of taking several months or even a year and travelling through my own home country of Canada, plus Europe, so adventure/travel books like this really appeal to me. Plus, as a historical novel, it's interesting to see how difficult it often was to travel back then when people were limited to horse-drawn carriages and boats. 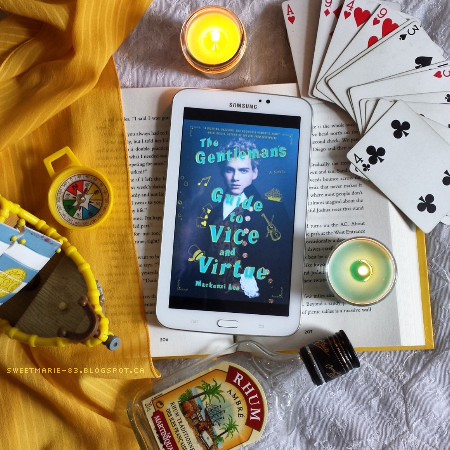 The Gentleman’s Guide to Vice and Virtue was one of my most anticipated books of 2017. I was even more excited when I saw a few trusted reader/blogger friends raving about it. When I finally picked it up, I giggled my way through the first 10% and then...well, then the disappointment kicked in. While the book started out funny and set things up nicely, I found myself bored through a lot of the book. I skimmed a lot, which I don’t normally do, and I considered DNFing several times, but by then I’d already dedicated several hours to the story and my mama didn’t raise a quitter! I’ll start out with the things I liked. I loved Monty’s voice. He was hilarious and irreverent and selfish and hugely flawed, but also really likeable, and experienced great growth throughout the story. I also liked his sister, Felicity (she’s just the type of strong-willed, intelligent, against-the-grain girl I love seeing in historical fiction, and I'm incredibly excited she's getting her own book) and best friend/love interest, Percy. I loved the diversity in the story - Monty was bisexual, Percy was biracial and had a disability (I won’t mention what because I’d consider it a spoiler, but it was fascinating to learn how it was perceived in the 18th century and what the fate of someone with Percy’s condition often was), and they met up with a band of African pirates during the course of their adventures. You so rarely see any diversity in historical fiction, so it was refreshing to see. I also enjoyed the humour and the adventure itself (which was more of a misadventure) with highwaymen, pirates, alchemists, a sinking island, and lots of mishaps that ranged from amusing to tense. I think this book could have easily been a five-star read for me if it hadn’t been so long. It felt like it took me forever to read and like it was never going to end. I’d be reading for ages and think I must be close to the end only to look down and see I’d only read 10% and was merely halfway through the book with another 3-4 hours to go. A book like this should have been so action-packed and exciting that I didn’t want to put it down, but instead I had to force myself to keep reading. I’m so sad and disappointed to say The Gentleman’s Guide to Vice and Virtue didn’t live up to my expectations. Despite enjoying the adventures and liking the characters, I felt like I was slogging through, and I honestly couldn’t wait to be finished. I did appreciate Monty’s growth, and I was glad to see he got a happy ending after all he went through, plus there were definitely many laugh-out-loud moments, and a sweet romance. I’ve seen plenty of people raving about this book, which could make it a case of ‘it’s not you, it’s me’ or 'right book, wrong time'. As always, I encourage you to give this one a try if it sounds like something that would interest you. 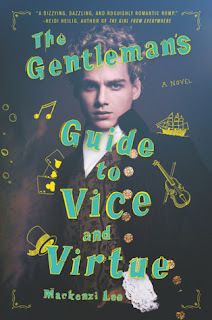 Have you read The Gentleman's Guide to Vice and Virtue? What did you think? If you haven't read it, do you plan to? Have you read any other LGBTQ+ historical fiction books? Good luck with the pictures. Awful that you'd have to pay 400 dollars!